Promoter and longtime friend David Herro says Bundy died on Monday. Herro posted on Facebook: "Today we lost a Legend and a man I consider family." The cause of death and other details were not disclosed. Bundy, whose real name was Christopher Pallies, was born in Atlantic City, New Jersey. 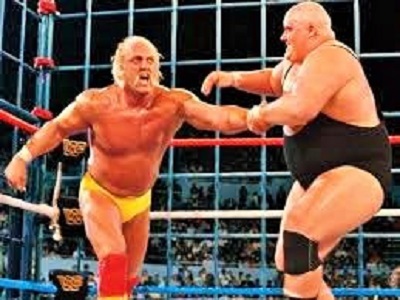 The 6-foot-4 (1.93 meters), 458-pound (208-kilogram) wrestler made his World Wrestling Federation debut in 1981. Mr. Bundy is one of those special cases with regards to membership status in the Television Crossover Hall of Fame. First off, we don’t consider appearances in sporting events, as is the case also with talk shows and for the most part variety programs and game shows. However, professional wrestling is more like theater and the wrestlers are playing characters, oftentimes fictional televersions of themselves.. Even though the TVXOHOF might not mean much to others, I think his passing should be acknowledged - even though he barely squeaks by with two appearances as a member of the League of Themselves and as a mention in another series which verifies his existence. In order to join Al's group NO MA'AM, Bud must go through a process where he must crash a televised wrestling match in order to get an photograph taken of him with pro-wrestler King Kong Bundy. Bud not only gains backstage access by dressing in a Bumblebee outfit, but thank to Kelly's big mouth, he lands in the ring facing the star wrestler as well. Wyatt and Chett become professional wrestlers. 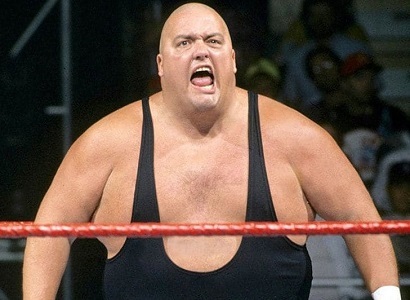 The wrestling event of the show is the WWF (World Wrestling Federation) however the only actual WWF wrestler making an appearance is King Kong Bundy. Neither Michael Clark Duncan or Brian Thompson where actual wrestlers. O’Bservation: Bundy asks Angel out on a date and they go to a frozen yogurt place. 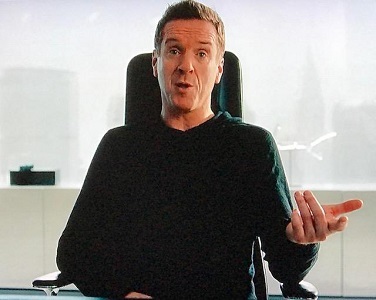 It's bonus time at Axe Cap and Bobby has an iron fist around all things compensation, which has Taylor wondering if they are in the right place. 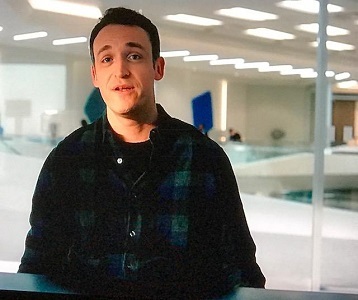 Chuck goes out on a limb to save his closest friend, and tries a new tactic to build momentum with the destruction of his boss. 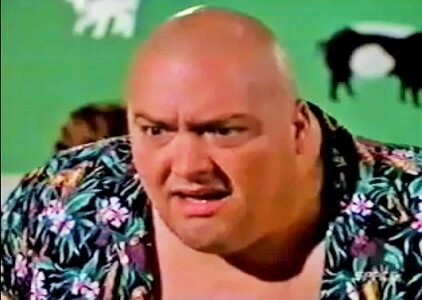 King Kong Bundy!Did you pretend not to remember that to make me feel good? This mention proves that he does exist in the main Toobworld as a fictional televersion. Even though everybody in this blipvert is appearing as themselves, this was a fictional occurrence. So it has as much validity as a mini-TV show as Bundy's appearances in the sitcoms. Thanks, Matt! Should there be any other references to King Kong Bundy in the future in some TV show, I'll be sure to add it to his "gallery" in the TVXOHOF page on Facebook. Check that page out when you get the chance! 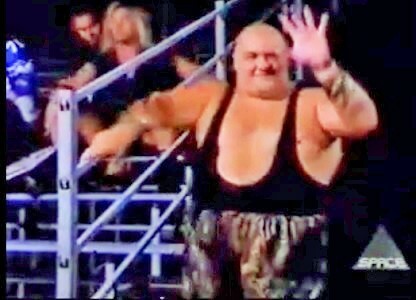 In the meantime, we welcome the spirit of King Kong Bundy into the Television Crossover Hall of Fame. 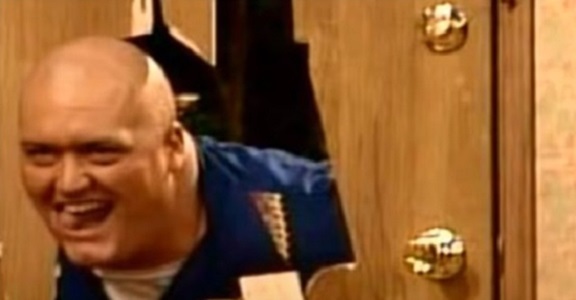 Please be careful with the furniture. We don't want any knicks.